The Mary Chambers model was the first of the models in the Archive Project that we completed. As parts of the process of mounting the puppetry onto a plinth I wanted to update the mechanism so that the style matched that of the later projects. There are three main movements in this model. The soldier rows the boat, the boat rocks up and down and the waves… well they wave. All three movements can be based round a circular crank movement but they are all at different speeds. Fastest moving are the waves with the rocking of the boat slightly slower. The rowing movement is slowest. Slow and steady. I laid out this gear train which should so the job. Time to transfer it to the real world. 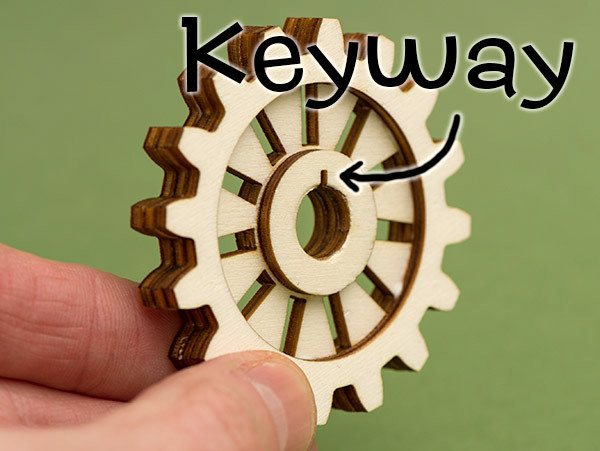 I made a simple jig onto which I can build the gears.This keeps everything at right angles and makes sure that the key slots are aligned. These pictures show the largest gear, the thirty seven tooth gear, being constructed. 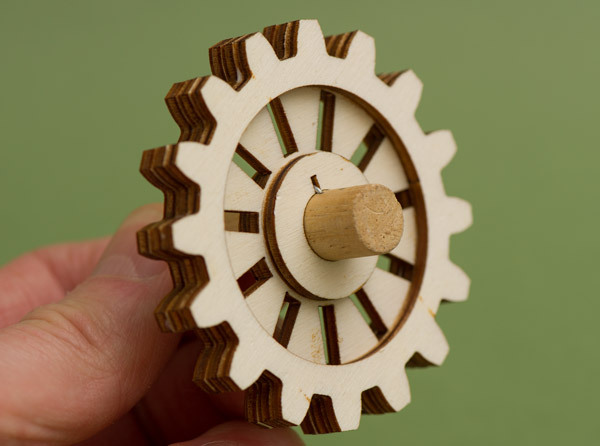 The gears are made up from three layers of laser cut ply . 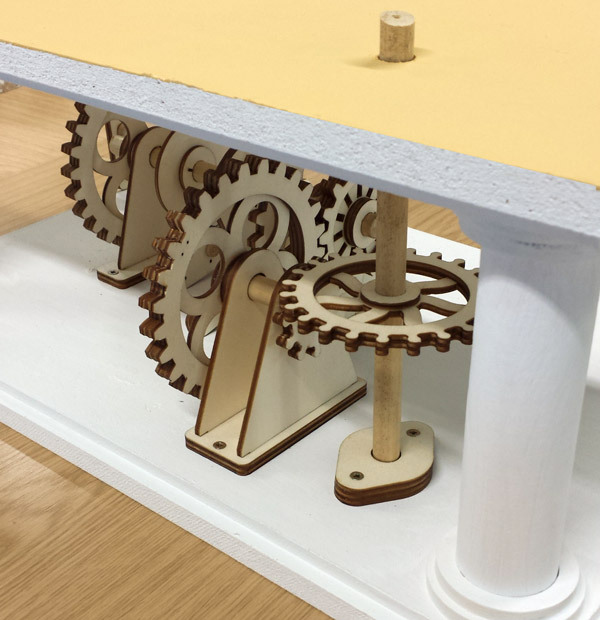 The gear part with the spokes is sandwiched between two disks and fitted onto the jig until the glue is dry. With the gear centre removed from the jig I fit the outer tooth rings into place front and back and clamp them into position whilst the glue dries. You can see the short section of rack in the picture that I use to make sure that the teeth are lined up properly. I’ve then constructed an arch to hold all the parts into position. Here you see the assembled parts, almost complete apart from the keys which will be fitted to the axles.